January 6th, Epiphany, is when the Wise Men finally arrived bearing gifts of Gold Frankincense, and Myrrh to the newborn Christ child. Many have wondered about the latter two gifts. Both of these biblical stocking-stuffers are tree resins. Amazon lists 13,000 hits for myrrh and 15,000 for frankincense, so there seems to be an ongoing demand. And, compared to the first gift, they are a real bargain. 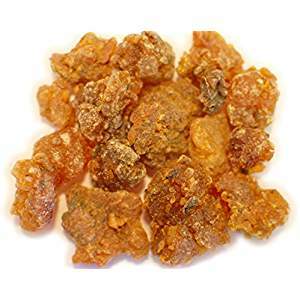 Raw frankincense can be gotten for around $12/pound (free prime delivery). Myrrh is a bit pricier, running just north of $5/oz. Gold is about $1,700/oz. We do not know what the values were in biblical times, nor do we know how much of the stuff the Wise Men actually brought. 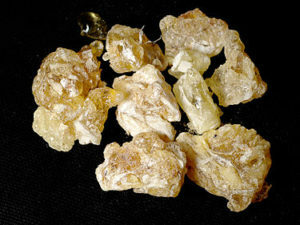 Frankincense is resin from the Boswellia sacra tree, and as one may discern form the name, can be used as incense. Frankincense was no novelty when Melchior presented the gift. It had already been a traded item in the Levant for three thousand years. It is still produced, mostly in Somalia. Its main market today is aromatherapy. In traditional medicine, it is believed to aid digestion and promote healthy skin, and is used in India for treating arthritis. If dissolved in oil, it is said to relieve scorpion stings. Good to know. But there is science too. 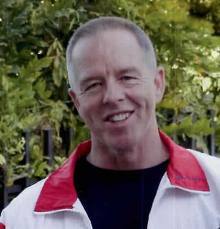 A double blind study in India showed significant improvement for arthritis, link here. There doesn’t seem to be much concern about toxicity (and being on the market for 5,000 years, we would probably know about it if it were), so maybe this would be a good thing to try. It also has been found to be anti-depressive. With myrrh, we encounter a somewhat darker tone. It was apparently used by the Egyptians for embalming and is mentioned in connection with Jesus’ death as well as his birth. It is also a resin, from the Commiphora myrrha tree, which, like frankincense, is also found in Somalia and nearby countries. Myrrh currently finds its way into some toothpastes and mouthwashes. It is said to have antiseptic properties. 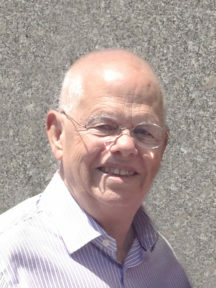 It has been found to lower LDL “bad” cholesterol and raise HDL “good” cholesterol—albeit in mice. Link here. In Chinese medicine, according to Wikipedia, “It is said to have special efficacy on the heart, liver, and spleen meridians as well as ‘blood-moving’ powers to purge stagnant blood from the uterus.” Maybe it was commonly given to postpartum mothers. There isn’t a lot of science on myrrh, but it does seem to be a fairly powerful antiseptic, having antibacterial, antifungal, and some antiparasitical properties. 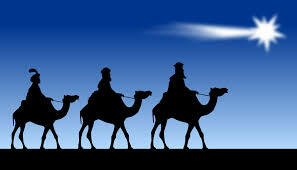 Epiphany also marks the end of the Twelve days of Christmas. Best wishes to all for a happy, healthy, and prosperous New Year. When I was in Oman last year, I, as you did, found it quite interesting that frankincense is considered medicinal, and specifically is antimicrobial and is apparently burned to this day in local hospitals for that reason. They are also quite into Neem oil and Saffron if I remember correctly, which also have medicinal properties.